The massive K71.8m walked out of the finance and treasury departments and no one (including Members of Parliament) knew or had the guts to say anything about it. 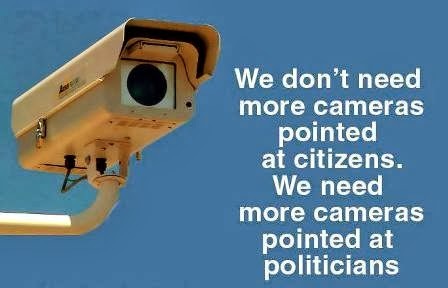 It was truly a blatant abuse and official corruption at best. The money was allegedly paid to a law firm, Paul Paraka Lawyers, with the aid of the Prime Minister Peter O’Neil, Finance Minister James Marape, Treasure Don Polye and the officers from their departments. Former Finance Secretary Steven Gibson appeared yesterday at the Waigani committal court on fraud-related charges. Gibson (inserted), 54, from Nihon village, Lorengau, Manus was released on a K10,000 bail and will reappear for mention on April 24. Gibson’s bail condition states that he is not to interfere with State witnesses. Gibson was charged with three counts of misappropriation, three counts of official corruption and three counts of conspiracy to defraud. It was in relation to public funds paid out to a law firm in Port Moresby. Gibson was Finance Secretary from 2011 to 2013 when the offences were allegedly committed. Magistrate Lawrence Kangwia told Gibson that the role of the committal court was to only screen the evidence presented by State prosecutors, and not to determine if a person was guilty or innocent. Kangwia said if the Committal Court found that there was enough evidence against him, the case would be referred to the National Court. The Investigation Task Force Sweep, which investigated the case, alleges that the payments by Gibson to the law firm were illegal. What if Waigani District Court has applied the amended legislation to issue the arrest warrant on the trio?The matter was reported to the police by the opposition leader on the 29th October last year. And on the 7th January 2014 the police have successfully obtained the arrest warrant from the court. Is there any flaw? The principal magistrate Lawrence Kangwia found that only problem was the application of the repealed legislation by the Waigani District Court. The court also found that police officers and the magistrate involved in the application and issuing of the warrants did not abuse any processes. They followed all due processes.So, why setting up a task force to investigate the police officers again? Mr O'Neil and the two ministers may accept the court decision while new applications are to be filed by the police. And at the same time let the Investigation Task Force Sweep to continue and complete its investigations as well. It’s the rule of law that the courts will uphold. 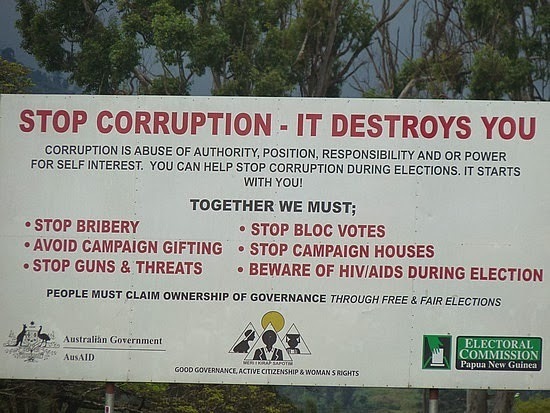 Both PNG constabulary and ITFS are established under the laws of this country to fight against corruption. If the PM and the two ministers know they are clean, they should let any form of laws of the land to filter them out. We can hide from man but not under God’s watchful eyes. 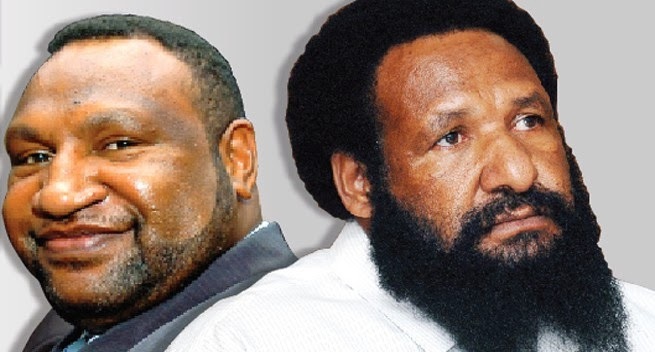 Papua New Guinea Police Commissioner Commissioner Tom Kulunga has asked Finance Minister James Marape and Treasurer Don Polye to go in for interviews over their alleged roles in legal fee payments to the firm Paul Paraka Lawyers. 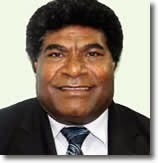 Mr Marape is expected to attend the interview today (Friday) while Minister Polye will go in on Monday. This development comes on the back of a statement by Investigative Task Force Sweep (ITFS) chairman Sam Koim, who said the team concluded from its professional judgment and assessment, that they cannot pursue the Prime Minister’s alleged involvement in the payment. The statement triggered the ire of Opposition Leader Hon Belden Namah, who said the Investigative Task Force Sweep chairman was acting outside his jurisdiction and his group was not a "competent authority", like the Royal PNG Constabulary or a court of law. The investigation results on PM did not go well with the Opposition Leader. A properly constituted court of law is the only tribunal of fact which can determine on evidence and in accordance with law whether Mr O’Neill wrote the directive letter of January 24, 2012 or not,’’ he said. Where is my tax-free city? Where is zero-city? Where are my sealed roads? Where are my modern hospitals? Colleges? Airports? Bridges? Schools? My beautiful Hela, the home of the much talked giant PNG-LNG project, has nothing to show after four years of beautiful memorandums of understandings and benefits sharing agreements. My lifestyle is unchanged. It is no different than decades before. The agreement papers have turned blank. It’s like elementary kids playing around with pencil and paper and leaving them unwanted and unattended. I’m not surprised because Hela is just another of those many resource-rich provinces in Papua New Guinea packed in that same fantasy basket. 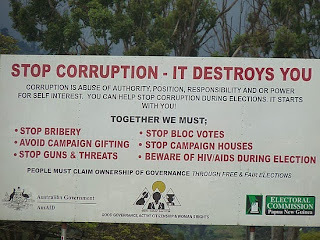 The poor Papua New Guineans will continue to live with no or degrading infrastructure and services while the politicians and bureaucrats burrow in the corridors of Waigani performing illegal financial transactions to build their family kingdoms while their five-year term lasts. After a brief wait, Prime Minister Peter O’Neill has finally revealed his 33-Member National Executive Council (NEC) – or Cabinet. The line up is heavily dominated by O’Neill’s winning People’s National Congress which boasts 13 Ministers. This is followed by Don Polye’s THE Party which has 4; William Duma’s United Resources Party has 3. Patrick Pruaitch’s National Alliance, Sir Julius Chan’s People’s Progress Party, and Peter Ipatas’ People’s Party all have 2 ministers each; and Our Development Party, United Party, People’s Indigenous Party, People’s Democratic Movement, and Social Democratic Party are all represented by 1 ministerial post each. Rounding up the 33 are 2 candidates who ran as Independents in PNG Election 2012 – Hon Richard Maru and Hon Kerenga Kua. School fees for 2014 for public schools have been approved by the Papua New Guinea National Education Board. 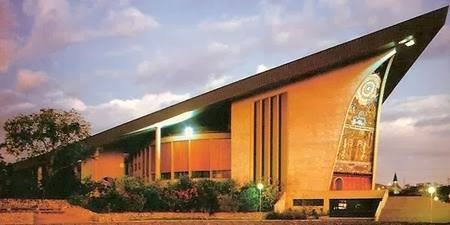 In a notice this week the Education secretary Michael Tapo announced that the National Education Board decided to increase the National Government’s tuition fee component by 10 per cent to further relieve parents of their difficulties in providing for their families in light of the devaluation of the kina and the high inflation rate. For instance, in 2013 the National Education Board’s maximum fee limit for elementary prep to elementary two was K100. With the 10 per cent inflation this year, the total government contribution is K110. Every child attending approved permitted schools will receive a one off payment of K100 and every disabled child will receive a one-off payment of K200. The board also saw the importance of schools having a conducive learning environment and has agreed that schools with the approval of the provincial education boards can charge a fee of up to K200.Mr Tapo said no schools are allowed to charge more than K200. 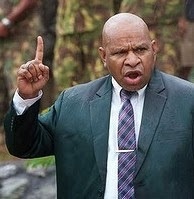 Oppositon Leader Belden Namah has given Police Commissioner Tom Kulunga a 72-hour ultimatum to execute the warrant of arrest on Prime Minister Peter O’Neill or face contempt of court. Mr Namah called a media conference yesterday to express concerns over the failure by the Police Commissioner and the police force to execute the warrants of arrest on Prime Minister Peter O’Neill, Treasurer Don Polye and Finance Minister James Marape. The warrants were issued by the Waigani Grade 5 Court in December. "The warrant that was issued on December 4, 2013, as a result of a formal complaint I laid with the Commissioner of Police alleging blatant abuse of official authority and illegal direction by the Prime Minister in directing payment (to a law firm named)." "This I view as high level official corruption by the Prime Minister, his ministers and the departmental heads who together in my view have committed fraud on a similar scale to the NPF saga." He said when the complaint was laid, the Detective Chief Superintendent Mathew Damaru entered it on record in the police occurrence book, and was given the fraud crime report number 185 of 2013. He said as a result of that complaint, police through their investigations have concluded that these three gentlemen have a case to answer to. 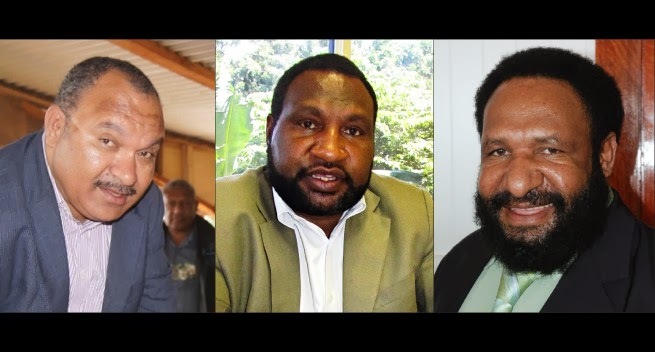 Three sets of warrants are out for the arrest of Prime Minister Peter O’Neill, Treasurer Don Polye and Finance Minister James Marape. According to court documents given to the Post-Courier, the warrants were issued by the Waigani District Court in November last year on the complaint of a detective senior constable with the National Fraud and Anti Corruption Directorate, Robert Ewail. To reinforce the earlier warrant, senior const Ewail has taken out another order from the same court in December, this one restraining his superiors and the Royal PNG Constabulary top brass, including the Police Commissioner from issuing formal, informal, written or verbal directives to prevent, delay or frustrate the execution of the warrant for arrest of the trio.